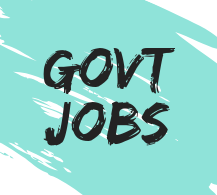 Dedicated Freight Corridor Corporation of India has announces new update about the latest govt jobs for the post of Executive, Junior Engineer (JE) & Multi Tasking Staff (MTS). In this page there are post name, total vacancies, age limit, exam centres, last date with notification & procedure to apply online. Junior Executive : Matriculation / 10th Pass with Apprentice / ITI. Multi Tasking Staff (MTS) : Matriculation / 10th Pass with Apprentice / ITI. * For MTS it is 18–33 years.